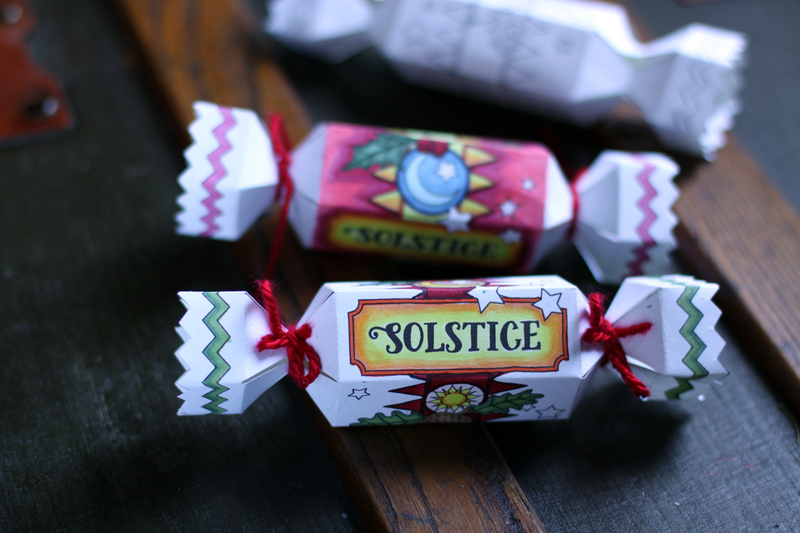 Adorable “Christmas Cracker” style boxes in three magical designs! 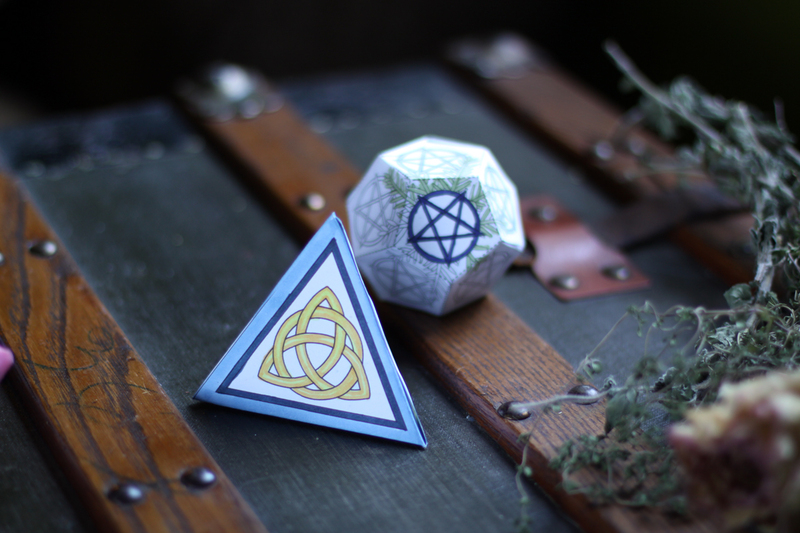 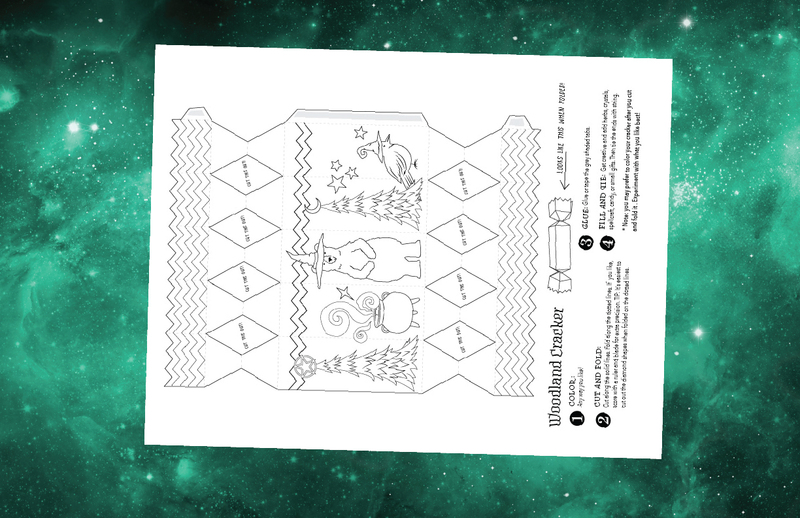 Color-and-fold paper ornaments to decorate your tree or altar. 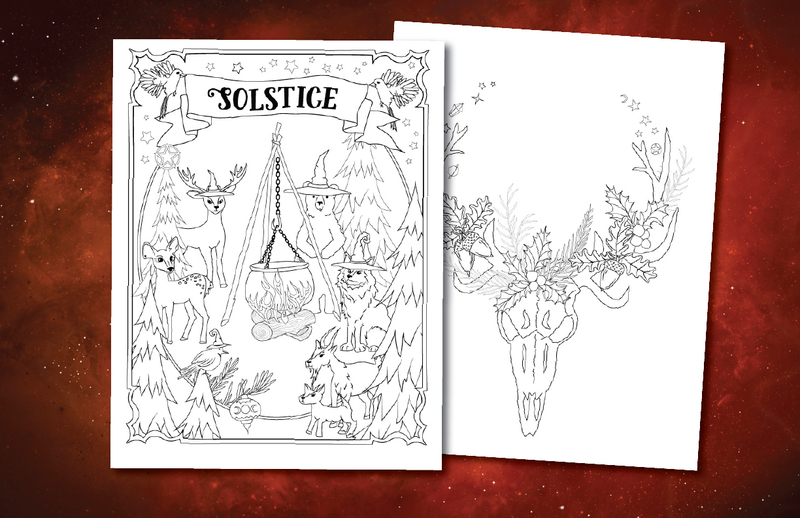 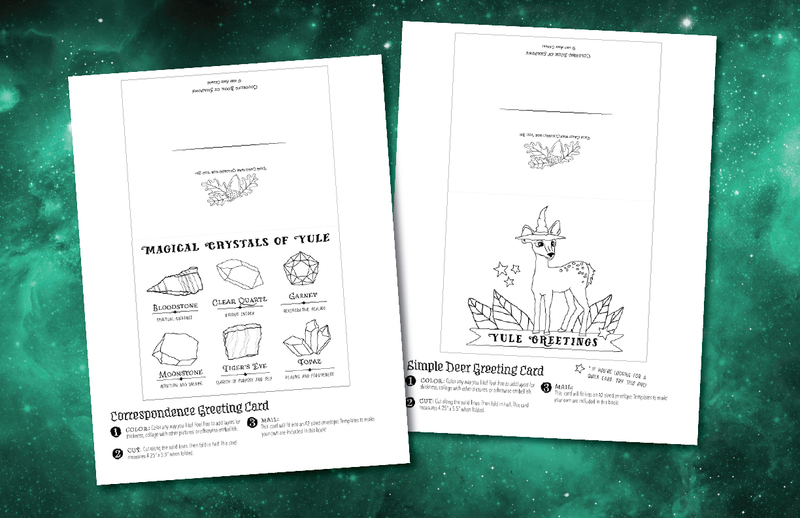 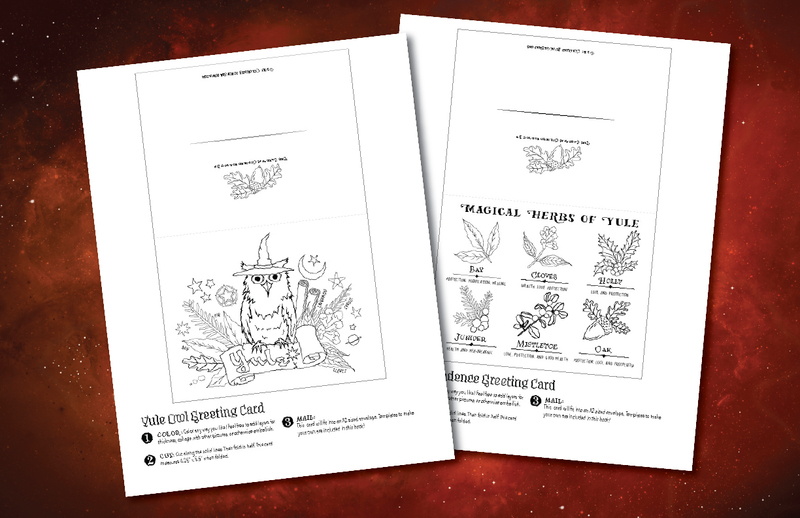 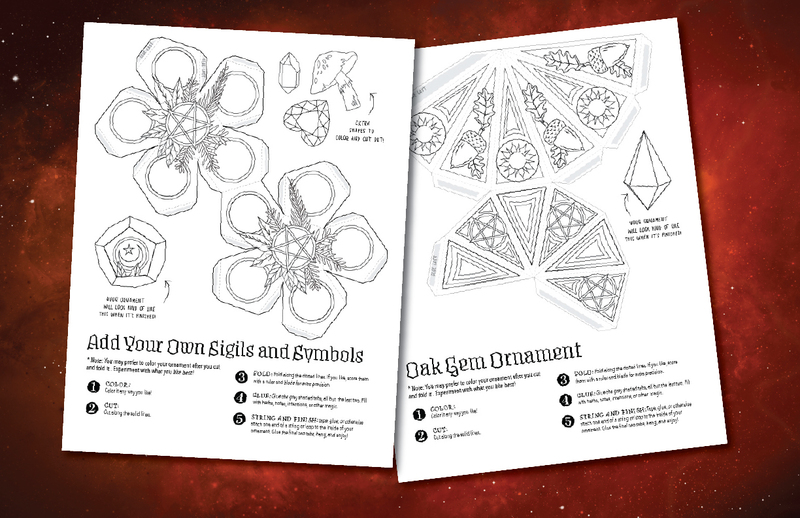 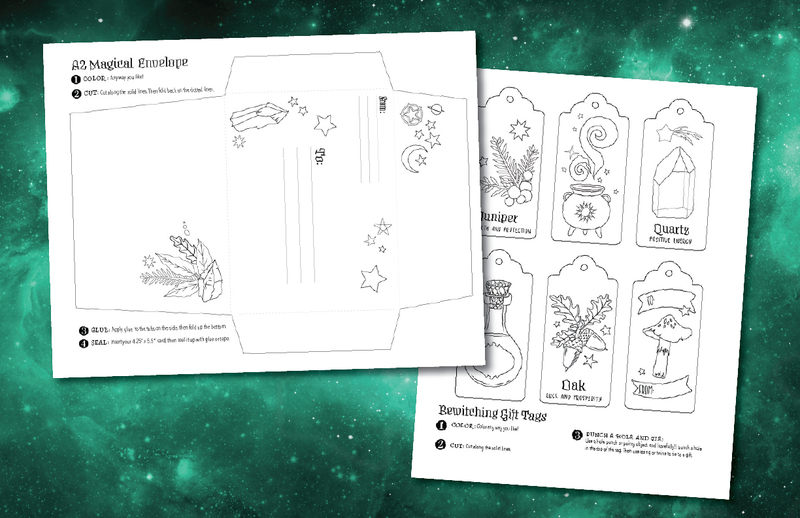 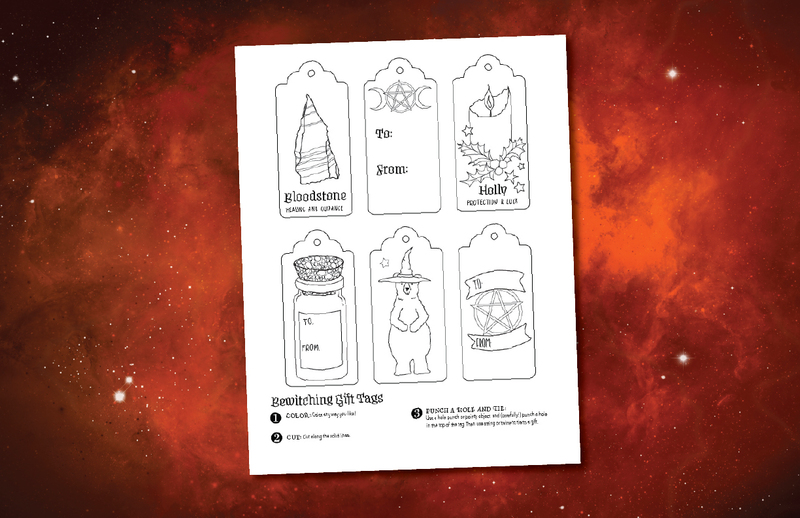 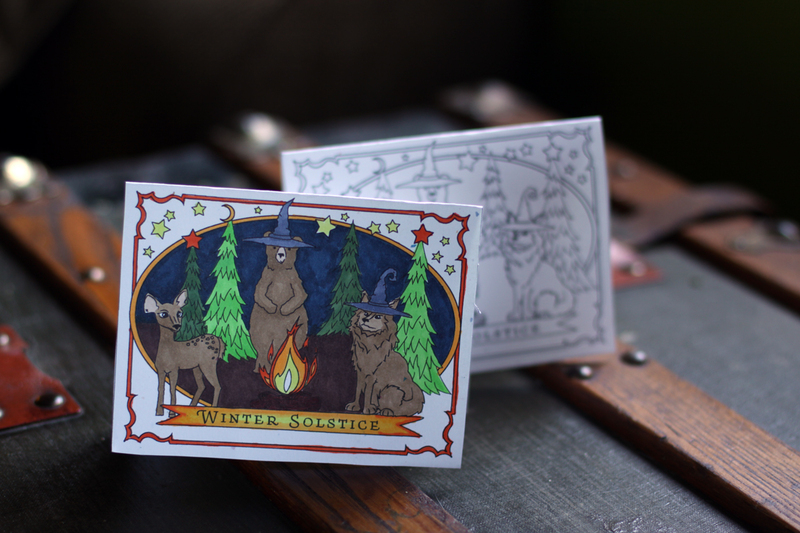 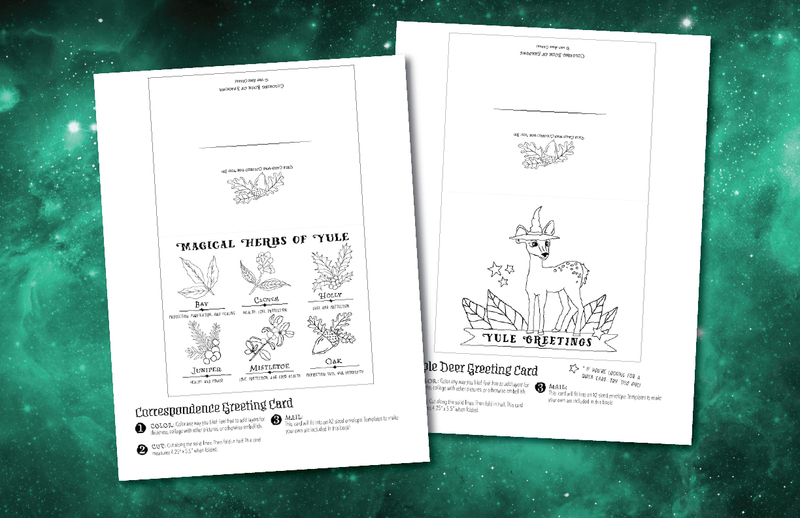 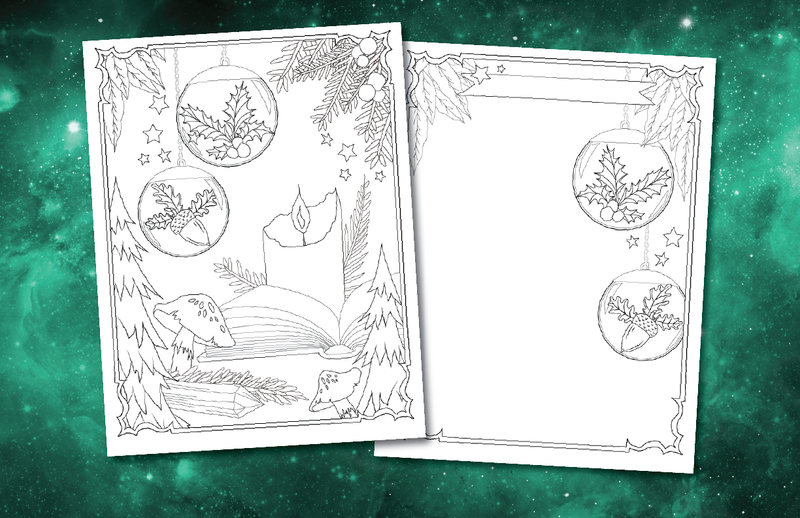 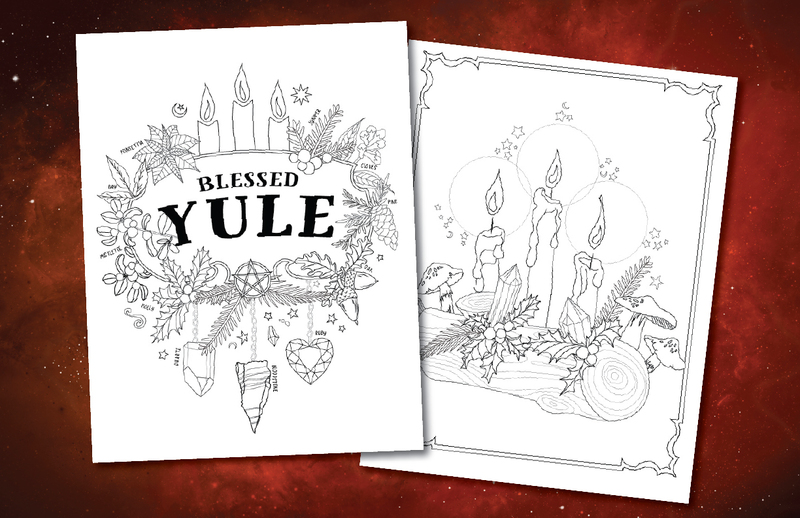 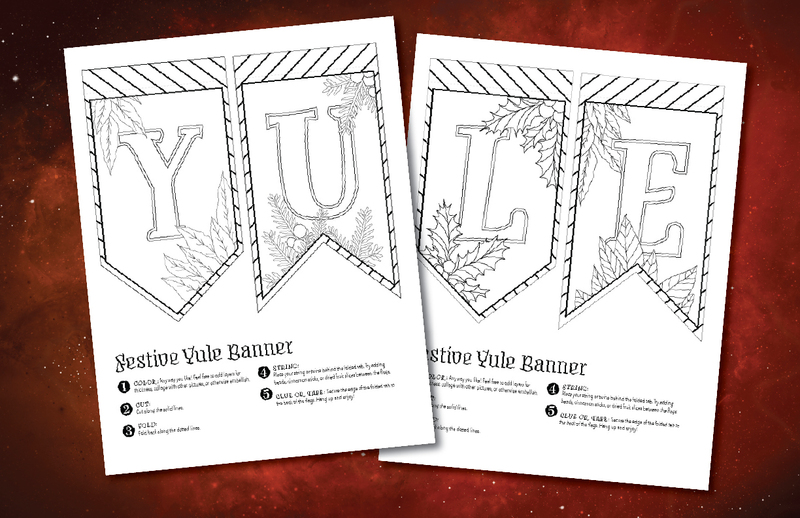 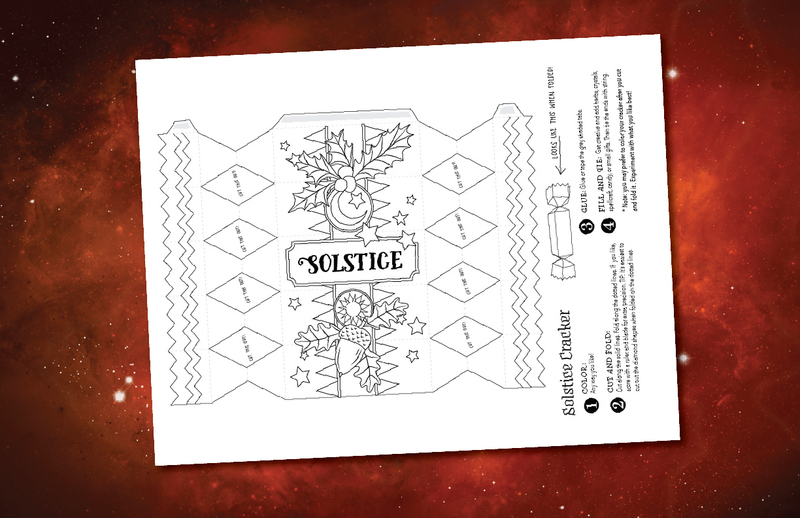 Plus seven full-page coloring sheets, four seasonal correspondence pages, and illustrated notes! 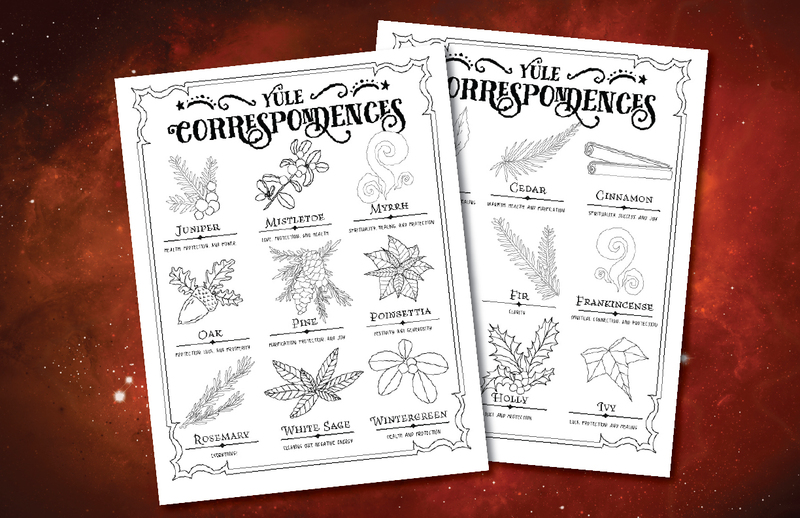 And lots more! 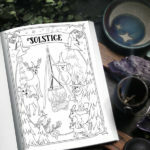 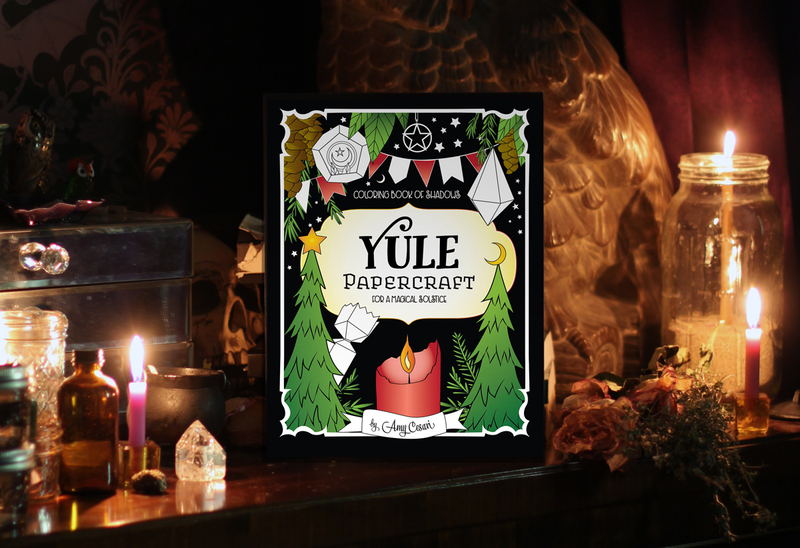 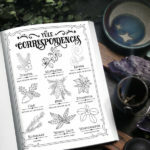 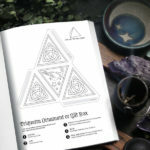 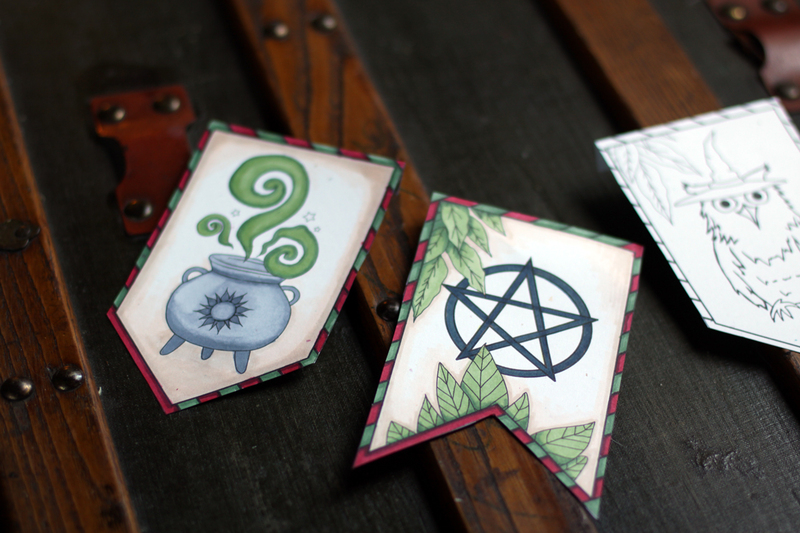 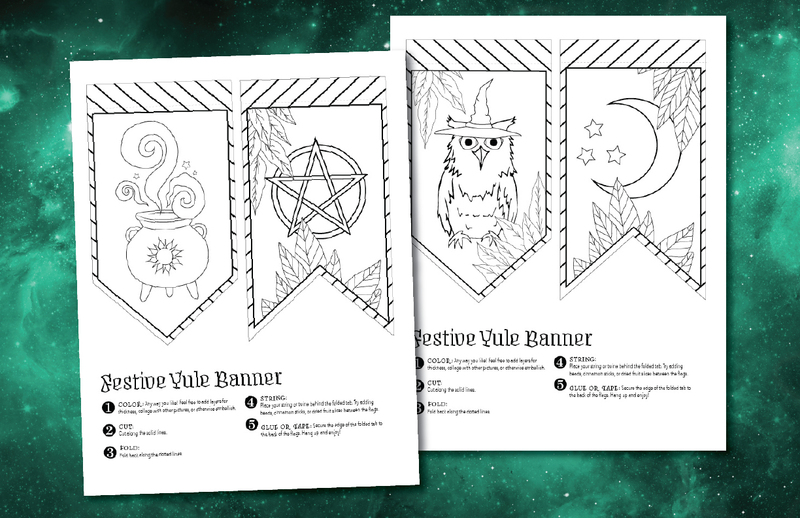 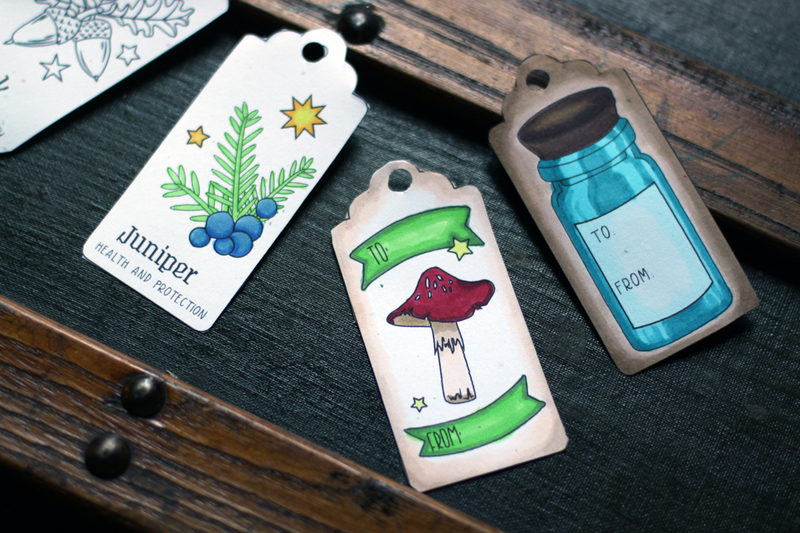 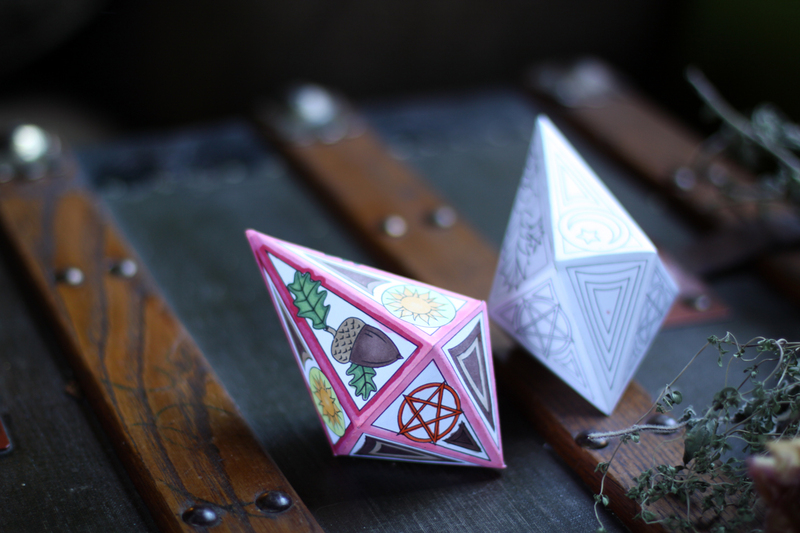 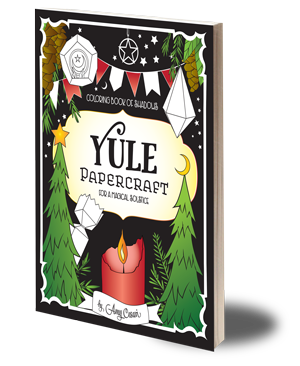 Over 40 pages of witchy art to help you craft a magical Yule.